FIFA 13 is likely to come to the Wii U? 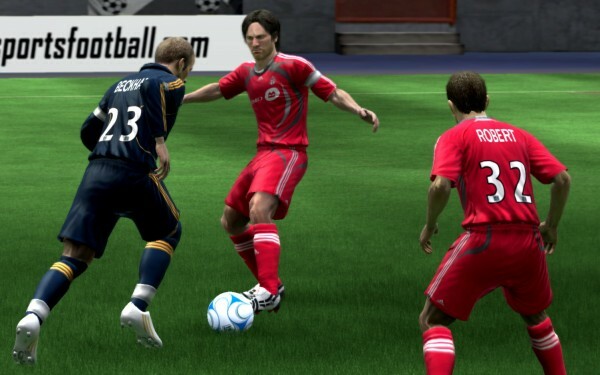 The next title in the popular football series of games has been announced to be coming to the Wii and the Nintendo 3DS. However, this begs the question of whether a Wii U version of the title is also in the works. Eurogamer recently reported that a Wii U version is being developed but by a different team from the Xbox 360, PC and PS3 versions. Not only that but EA have been quite supportive of the Wii U ever since it was shown at E3 2011, so it doesn’t seem too far-fetched to expect that FIFA 13 will be coming to the console. Would you like to see FIFA 13 on the Wii U? it needs wii motion plus and pointer controls, above pes and cool usage of the wiiu pad or im out.. i do not play out dated football games and controlling one player at a time ps3/x360 style is outdated old and frankly dumb,,iv enjoyed all 11 player control on pes wii for 6 years now NO WAY IN HELL IM GOING BACKWARDS…..Full wii remote and nunchuck controls and full support for wiiu pad online chat etc and info screen would be cool,a managment system were you draw plays on the screen would also be cool and the gang, porting a ps3/x360 fifa sorry not interested..
Wii U will not survive without it. At least in the EU.